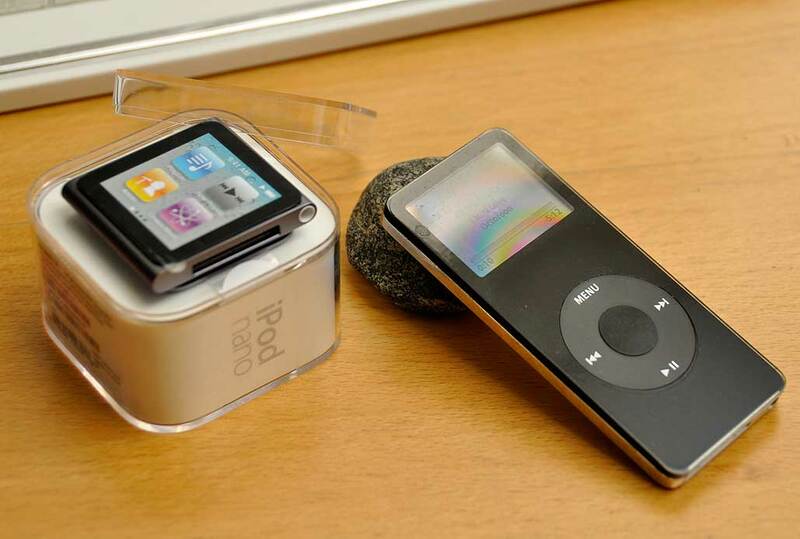 When Apple released their 1st generation nano, we were excited about the form factor. We hacked it into our Boxster’s stereo system and were one of the first to report the easily-scratched screen issue along with a solution. Five years later, when Apple released their 6th generation nano, we didn’t even give it a second look…until now. The reason for our interest now is not because of the nano itself. Yes, it is the size of a postage stamp, has 4x the memory of the original nano, and sports a multi-touch, high-rez color screen. All of the tech Apple crammed into their latest nano is really amazing, but in the end…it is just another iPod. What got us interested in the latest nano was the LunaTik Multi-Touch Watch kit by Scott Wilson at MINIMAL. The LunaTik converts the iPod nano into a multi-touch wristwatch. There are other wristwatches with a touch-sensitive face (Tissot, sWaP), but none of them has a high-resolution color display. If you didn’t know about the KickStarterbackground of the LunaTik, you can get the full story here. Our LunaTik arrived yesterday and we were not disappointed. The frame is CNC-milled from aerospace grade aluminum. 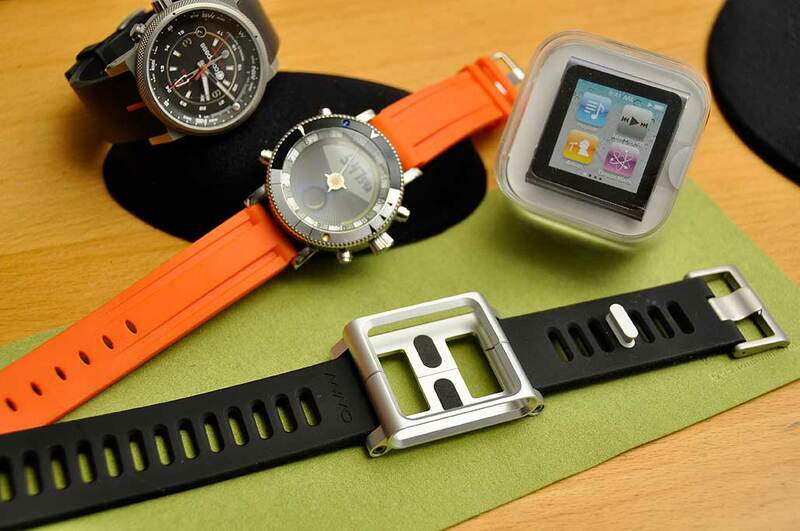 The straps are made from high-grade silicone rubber and fitted with sand-blasted stainless steel clasps. No cheap plastic parts anywhere on THIS watch band (something which cannot be said of the other nano straps out there). Note that the primary goal of the LunaTik is to convert the nano into a wristwatch, not as a protective case for the nano. This means that easily taking the nano in and out of the case requires the use of a allen key. When in the LunaTik, the nano may not dock with other 3-rd party accessories (speakers, docks, etc…) With that said, the design of the LunaTik is very well thought out. We like how the case envelops the nano, but will still give access to all of the controls and ports. The strap is soft and comfortable. Using the hex screw to both hold the frame together and secure the strap is an elegant solution. The approach minimizes the number of parts while solving two problems at once. The LunaTik KickStarter project is a great story. Definitely check out this video Scott posted of his trip to China to inspect the first batch of LunaTiks. Especially cool are the segments on the CNC machining of the case and the manufacturing process of the strap! We’ll have the nano-LunaTik Installation write-up posted next week.